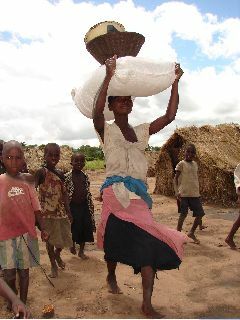 A mother with child, a flood victims caring 120lbs. of food home. 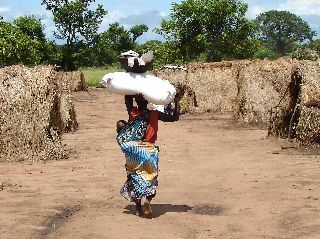 Refugee camps so happy to get some food. 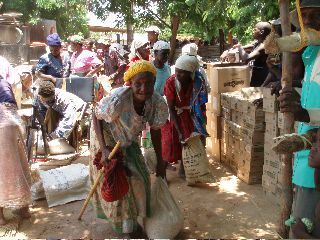 Iris Bangula feeding program. Happy grandma (agogo). 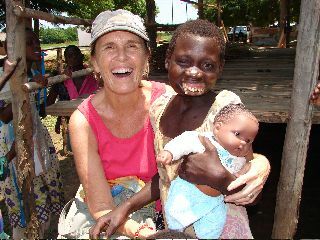 Cindy with our friend Mercy, with new doll. 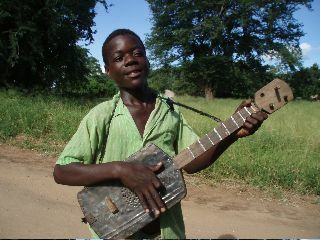 Home made four string guitars in near by village. 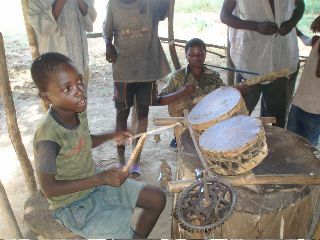 Home made drum set. 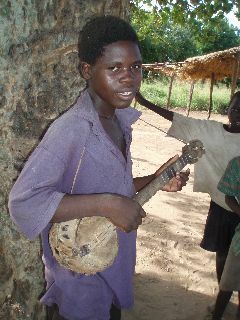 This kid play's on a worship team in village next door. He is really good. 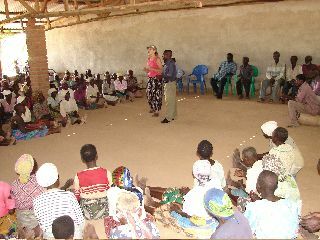 Cindy preaching at a local village church.